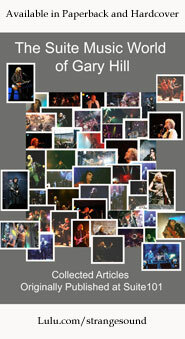 Over 150 concert photo galleries (with many more pics - and larger ones) than the main site - artists like Alice Cooper, Judas Priest, Queensryche, Hawkwind, Heaven and Hell, Spock's Beard, Magma, Otep and many more. The members area is updated far more frequently than the main site. In general material is added at least once a week, sometimes several times a day. All this can be yours with a membership. Join today. With a lot of music coming in for review, it can take a while for a release to get covered. Since half of every issue has to be progressive rock, that delay can be even longer for those items that don't fit that category. So, that prompted the addition of expedited reviews (something offered by a number of publications in one form or another). Expedited reviews cost 40 dollars and guarantee that a review will make the cut to be published in the next issue (as long as that issue is at least two weeks away). In addition, the usual requirement of physical review copies is waived, allowing artists to submit digital versions. It does not buy any kind of banner ad or other promotion at the site. Nor does it guarantee a positive review, but Music Street Journal doesn’t publish reviews that are more negative than positive, making it likely at least one reviewer will like the disc. In addition, artists can request a specific writer (although dependent on that writer’s scheduling it might still get passed to someone else). In other words, what this option does is allow artists to send a digital copy and make sure they get pushed to the front of the line for review. NOTE that this does not allow for reviews for streaming only review copies. However, for an additional charge of 30 dollars we will do an expedited review with streaming only materials. That's the ONLY circumstance where we accept streaming only review copies. email musicstreetjournal@musicstreetjournal.com for more information, OR just use the registration link at the top right of the main page of the site to pay for your expedited review. Be sure to include your contact email when setting up the payment and we'll contact you to get the ball rolling from there. A single banner ad is now $35 for one year. That includes one ad placement in one of three banner slots on the site. These slots show up on nearly every page of the site. This price also includes a complimentary one year membership to the site - that's a 25 dollar value if purchased separately. Special Mentor Level Sponsorship is now $85 per year. It includes the same things as the basic level, but instead of one banner ad you get five. You can split them anyway you like between the three slots of the site or put them all in the same slot - it's up to you. Supreme Level Sponsorship is now $175 per year. This includes everything in the Mentor Level but instead of you needing to log in to post your press releases and gig dates, you just email them to us and we'll post them for you - within a week. Also, we waive the "physical only" requirement for review copies for Supreme Level Sponsors. Fill out the form below to sign up for a Music Street Journal membership. Your email address will be your login name. Email musicstreetjournal@musicstreetjournal.com to finalize banner ads and sponsorships or to arrange alternate payment methods.